The Kovox spol. s r.o. 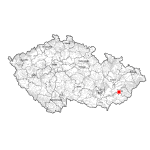 company is domiciled in Otrokovice, in the area of the Barum Company. For your better orientation we have prepared on the server´s pages a direct reference emhasizing the domicile of our company. You will find the map if you click on KOVOX.